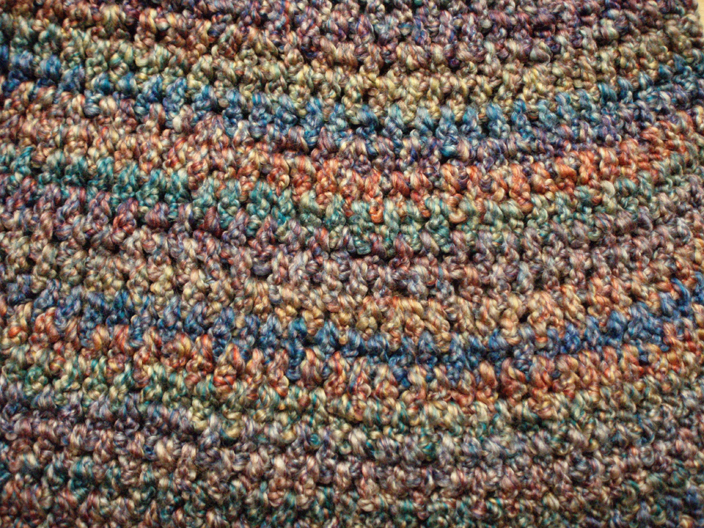 This custom cowl neck short cape is made with a soft textured yarn in shades of brown, rust, blue, teal, gold and red. 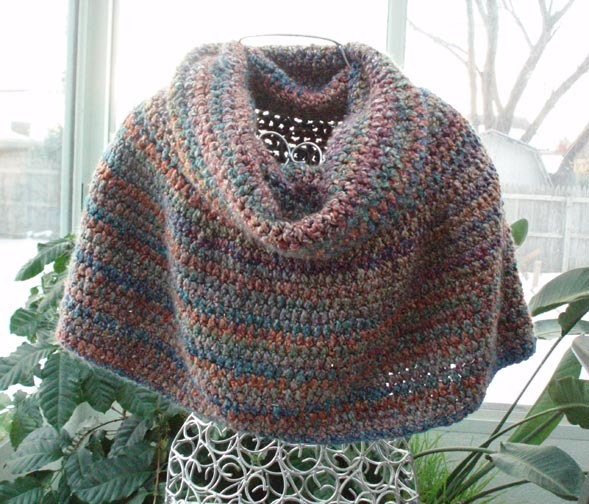 This warm and soft capelet drapes over the shoulders. The cowl can be pulled up to cover the head or left loose around the neck. 98% acrylic 2% polyester.